Don't you hate it when you walk in a room and a zombie just pops out of no where? 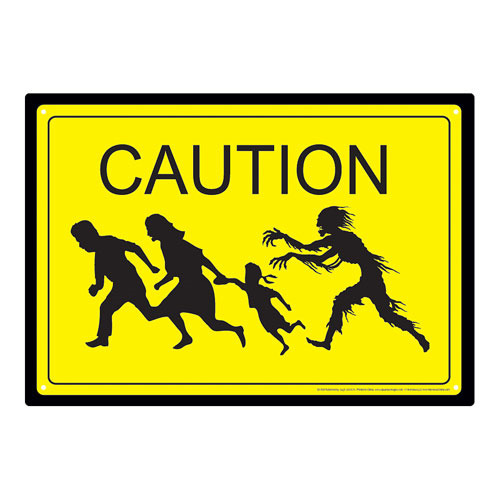 Let people know to be on guard with the Caution Zombies Tin Sign, which measures approximately 8-inches x 11 1/2-inches. Could be the difference between life and death! Ages 14 and up.